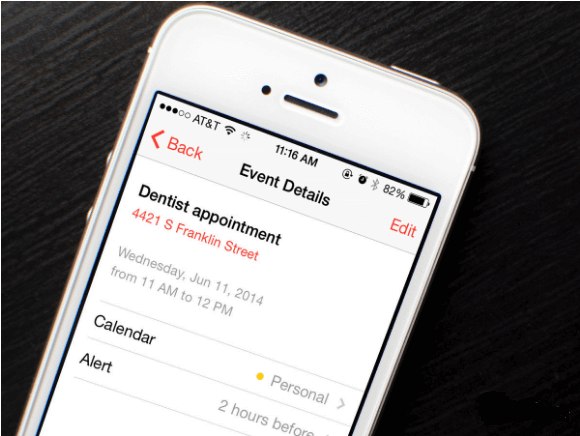 Documenting and tracking your appointments and events on iPad/iPhone have never easier without calendar app. With iPad/iPhone calendar, you can add new events, delete old events, title your events, edit date and time for events, set event reminder, enter exert location for the event, indicate if the event is an all-day event or is specific in time, customize to repeat events, invite and share your calendar with people, add URLs and Notes to events, etc. Unfortunately, since calendar application allows users to create multiple calendars, you may end up storing several past and future appointments and events, some of which may be used to monitor your movement when such private calendar is leaked. Now, you will like to delete some of them to keep your privacy in check, but you need to delete them in a way that no one would be able to recover them again. We know that keeping track of your life's events is the prime purpose of creating and updating your iPhone/iPad digital calendar, which has been helping you to work towards your future tasks and goals in a strategic way. However, there is always a time when you will want to change your iDevice and upgrade to a new one, or you have overabundance of calendars and you would like to delete some of them to minimize the possibility of privacy leak. Hence, we shall be guiding you on the two best ways to delete calendar events on your iPad in order to keep things secured. Step 1: Launch your Calendar App on your iPhone/iPad. Step 2: Click on "Calendar" at the button of the app. Step 3: Select the "Edit" button at the top of the screen. Step 4: Select the calendar event that you would want to delete. Step 5: Click on "Delete Calendar," you will see a popup requesting that you confirm your action by clicking on "delete." Step 6: Click on "delete" to finish the process. To remove all your few events, you will need to keep repeating these steps until all of them are gone. 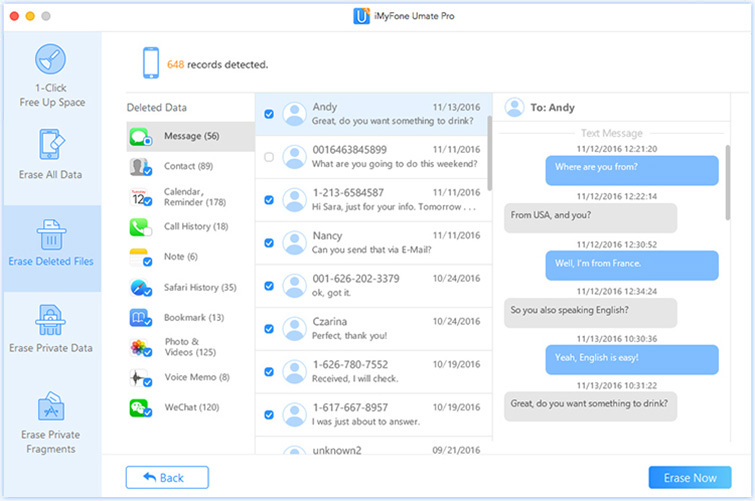 iMyFone Umate Pro is a professional PC-based tool for erasing data, protecting privacy and freeing up space on iPhone, iPad and iPod Touch and fully compatible with iOS 11. It can remove all unwanted contents from an iPad just in one click. It provides four data erasing modes, which include erase all data, erase deleted data, erase private data, and one click to free up space. It is the best utility for us to erase the Calendar and we can protect our private data and make them can not be recovered by any data recovery tools. iMyFone Umate Pro can be used to delete calendar on iPhone/iPad iOS 11 and make it unrecoverable. Unlike Calendar App, you have two deleting options, you can choose to delete calendar events selectively or in one click. This data destroyer can also be used to wipe out every bit of private data in your iPad such as messages, call logs and history, Safari history, App caches, etc. Step 1: Connect your iPhone/iPad to your Mac or Windows PC using a cable. You can now launch the app to continue. Step 2: Choose "Erase Deleted Files" and click on "Scan" to start this process. Step 3: You will be shown a list of deleted files, your past calendar events and formally deleted calendar events are included in the list. Select calendar files to preview your calendar events. Step 4: Type "delete" to confirm and click on "Erase Now" to delete these events permanently. Once this process has been completed, you would have deleted all your calendar events. After using iMyFone Umate to scan and clean up your calendar entries, no recovery app can be able to recover your private data. Keep all your data private and secure. With iMyFone Umate Pro, you can be able to preview your data before deleting them.So you can choose what you want to erase and make sure the important data which you don't want to erase is safe. iMyFone Umate Pro is very fast and delivers as promised.It can list all your data accurately. iMyFone Umate Pro employs over 25 data analysis technologies in scanning and analyzing iPad data quickly. iMyFone Umate Pro offers you an efficient four ways of deleting your iPad data. You can choose any of these modes depending on what you want to achieve. Here is s little insight about the four data erasing modes of iMyFone Umate Pro. Erase All Data: You can factory reset your iPad with iMyFone Umate Pro. With this mode, you can remove every data on your iDevice and turn it into a new iPad. Erase Deleted Files: With this mode, you can detect all residual files that were not properly deleted and delete them permanently. Erase Private Data: This mode allows you to scan and analyze your iPad personal information, and deleted selectively or with one click. One Click Free-Up Space: iMyFone Umate Pro helps you to clean up iPad junk files, erase temporal files, compress and backup photoslosslessly, delete and backup large files and remove unused apps just with one click.